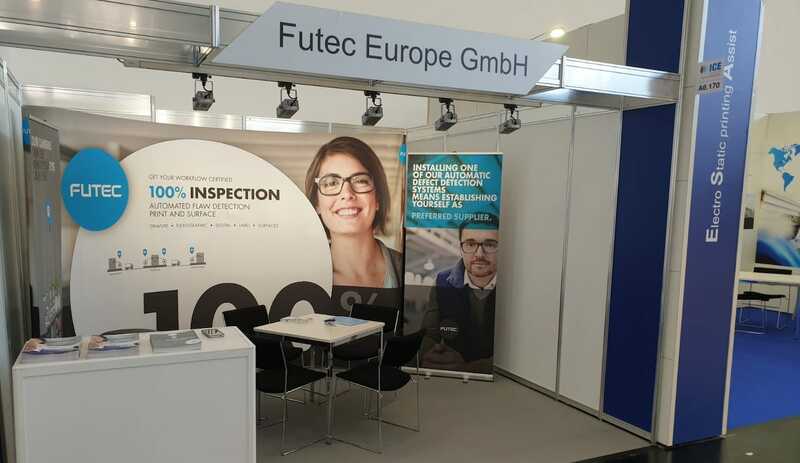 ICE Europe 2019 in Munich, the worlds leading exhibition for paper-, film- and foil converting was a great success. With our brand-new features from Japan we almost exclusively had high-quality contacts with concrete projects behind. 100% inspection was a big topic in all areas. Particularly noticeable were the many requests from label printers in the area of ​​security labels. This fits in well with the upcoming new Highend Label System from Futec. From the end of May, the new test system in Duisburg will be available for customer tests.